The Greene Mansion sat on the eastern end of 53rd Street in New York, home to the dysfunctional Greene family – the paralysed mother and her menagerie of children, all of whom have their own particular (and unpleasant) quirks and traits. And one of them is somewhat dead. S S Van Dine brings my countdown to review 1000 to an end and I’m not sure there’s anyone more appropriate to do so. Van Dine aka Willard Huntington Wright wrote twelve mystery novels from 1926 to 1939. The wisdom that someone passed on to me is that the first six are excellent and the last six… aren’t. But this is the third novel in the series so it should be a cracker, yes? Hmm… yes, it’s definitely good, but it’s also definitely flawed. The good, first of all. This is a proper detective novel, with puzzles, red herrings, a closed cast of suspects and, most effective of all, an effectively-created atmosphere. Terror stalks the Greene mansion and the tension oozes off the page. Our lead, Philo Vance, is a pleasant enough host (although perhaps a tad bland) and I found the book a real page turner. On the downside, the “how” aspect of some parts of the crime are a bit ridiculous, with a distinct whiff of “being a nutter” needing to be applied to the killer. I don’t think many long-term mystery readers will fail to at least guess the identity of the villain of the piece, although Van Dine does throw out at least one mystery trope as a red herring, although perhaps a bit too obviously. There is one very odd bit that didn’t bother me until I thought about it too hard. S S Van Dine is a character herein, narrating the tale as a fly on Vance’s shoulder. But nobody even mentions Van Dine or talks to him. There’s even one scene where Vance is being confided in and I’m pretty sure that wouldn’t have happened with Van Dine in the room. But overall, this is a gripping read that will keep the reader guessing, for a bit at least. I’ll definitely be coming back to Van Dine and Vance (partly because I picked up all twelve novels in ebook form for 99p). Recommended. Glad you enjoyed it. Very dated of course but all part of the charm. It hasn’t dated as bad as some, but the sense of melodrama at times does show its age. Interesting that you found Vance a pleasant enough host, not everyone agreed. Ogden Nash came up with the quote “Philo Vance needs a kick in the pance.” I thought he was a little on the precious side, sort of a slightly more extreme version of Lord Peter Wimsey, or early Ellery Queen. Actually, I think early EQ was modeled after Philo Vance, as were the “international” adventures. Dannay and Lee were catering to the public, and for a while at least, Van Dine was extremely popular. There were also quite a few films made using the character and the plots from the books. I like the secret of what was in the library. 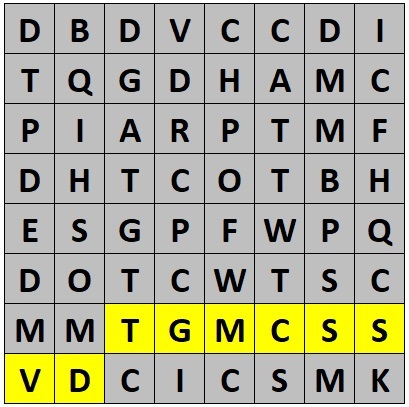 This is certainly easier to solve/guess than the other big Vance, The Bishop Murder Case. But I did like the atmosphere here the most. Both are terrific I think. The other first 4 are good but not as good. The drop off in quality after that is sharp indeed. A couple I gave up on. Van Dine was, as a comment mentioned, enormously popular. The Greene was a top 10 seller for its year, quite unheard of for a mystery in America. Apparently he was over half of Scribner’s sales for a few years. There are a couple good movies, Benson and Kennel. Michael Curtiz directed one of them. A quick check shows some movies are on YouTube. Kennel is really very good, but I don’t know about the print quality. Doesn’t Vance address the narrator in this novel? He does in many others, at least, affectionately calling him Van. D.A. Markham has been known to address him as well. You’re right that Ellery Queen is modeled on Philo Vance. Vane came first in 1926 and Queen appeared in 1929. Queen’s literary agent is a stand-in for S. S. Van Dine though he only acts as an introductory voice for the early books. The police team in the Queen novels is modeled exactly on the Van Dine books with an inspector, a sergeant and a district attorney all working together with an amateur detective eventually coin up with the final true solution. Anthony Abbot does exactly the same thing with his series of mystery novels, but instead of an amateur he has a police commissioner in the lead role as the hero/detective (Comm. Thatcher Colt). But the sergeant, district attorney and narrator who also “authored” the book are all there just as with Van Dine’s books. 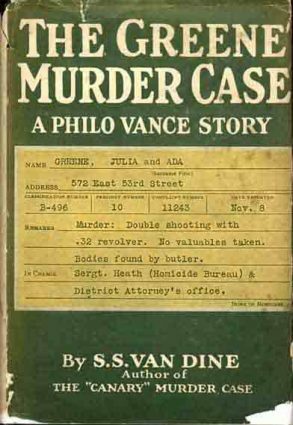 In fact, genre historians write of the “Van Dine School” of detective novels because Philo Vance really did pave the way for a certain type of amateur detective that was imitated repeatedy by the early mystery writers, and was predominant among American mystery writers. Many of them follow the structure of Van Dine to the letter as Queen and Abbot did. Harriette Ashbrook was quoted as saying that her detective Spike Tracy was her attempt to create a more human, less cerebral, and fun version of Philo Vance. I find Philo Vance knock-offs all the time in my reading of early American mystery novels published between 1927 and 1935. Due to the immense popularity of the books (the first bestseller in detective fiction was The Bishop Murder Case close to five hundred thousand copies sold over three years) and the movies Philo Vance was the most often alluded to fictional detective in the entire genre during the heyday of the detective novel. He is joked about and referred to more often than Sherlock Holmes, if you can believe it.